My mom and I love books. Our house has a library (my mom’s). The walls in my room are lined with books – my bed is next to be bordered. We’re bookie. So when my mom walks in the room with a big smile on her face and a brochure that clearly reads “Book Fair,” and it starts today? We get really happy about it. We had a breakfast of cinnamon rolls and beacon at the Holiday Inn Express in Woodstock, Virginia (it wasn’t horrible, wasn’t great. The breakfast lady was super good, though). 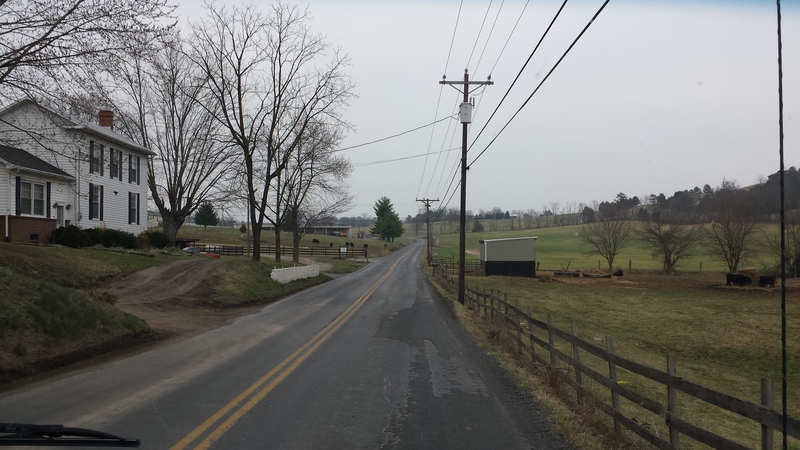 Then packed our bags, set the GPS, and headed down to the fair. Whoop whoop! The GPS is great. Tells us exactly when to turn, where to go. . But it was tripping us up, when we were looking for a book fair, and only saw more and more of this. 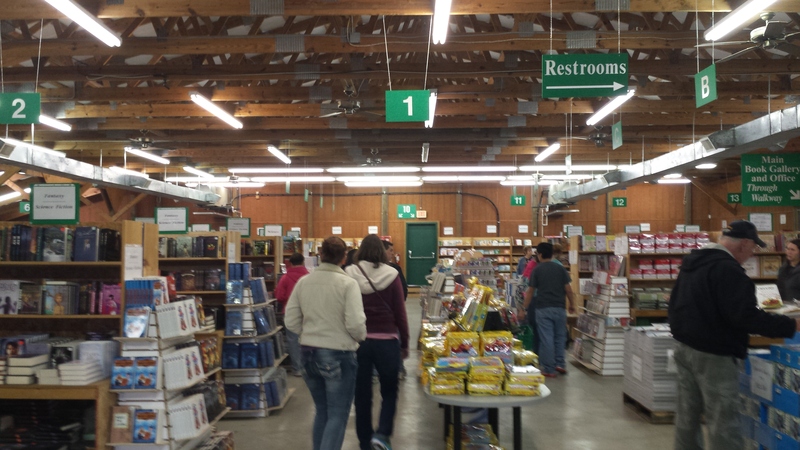 It got to the point where we were expecting the book fair to be in someone’s barn. .
Or that it was a trap. To collect and capture bookies in order to create a brain force capable of taking down the world. Or, something. 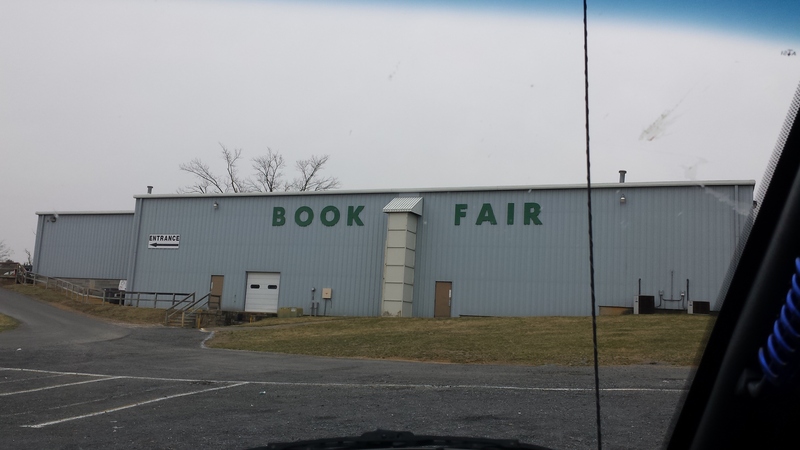 Well after stretches and stretches of cattle land, we finally came upon a gray warehouse with a BOOK FAIR sign and an empty parking lot. I kept mumbling “sketchy…”, then we followed some other cars around the building, where everyone was. Then all was well. We were officially at the Green Valley Book Fair. And man, the place was huge. It started in a separate building that was attached to the warehouse, stretched across, then went two floors down from that. From what I saw, a very large majority of the books could be bought with only five dollars, and all of them are new. I couldn’t leave a Writer’s Digest “Crafting novels and short stories” that was $4.50, normally $20. We were on the road again about and hour and a half later and headed straight to our next hotel which doesn’t have an elevator so we had to haul all our luggage up the stairs again. We had lunch at a Steakhouse called Sagebrush, where we got more than our daily intake of meat. I was in heaven because they had my favorite: loaded potato soup. My little brother and I shared a sweet potato for dessert. We walked to the restaurant and back, so I’m being lazy and saying that’s sufficient enough that we can skip the gym tonight. Also cause I hurt my knee. I spent my not-gym time watching Netflix and painting my nails a gray with silver sparkles. Upon further examination, doing my nails all the same color was probably a bad idea. Gonna be a heck of a job taking it all off.